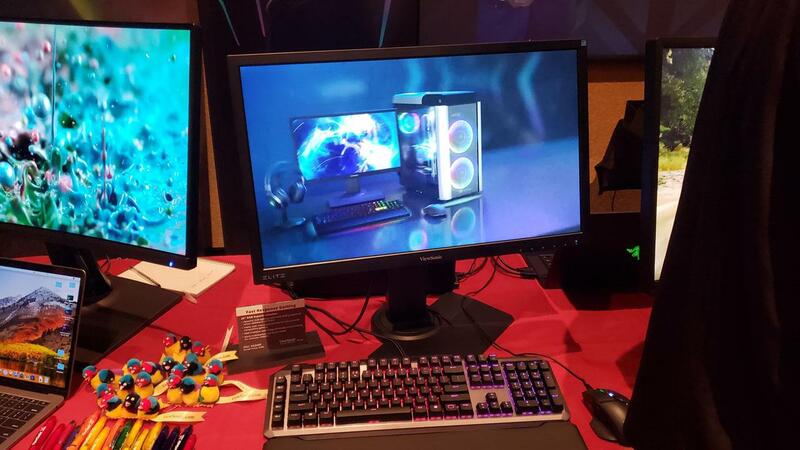 Viewsonic was showing off two of their new Elite gaming monitors at Digital Experience this evening. 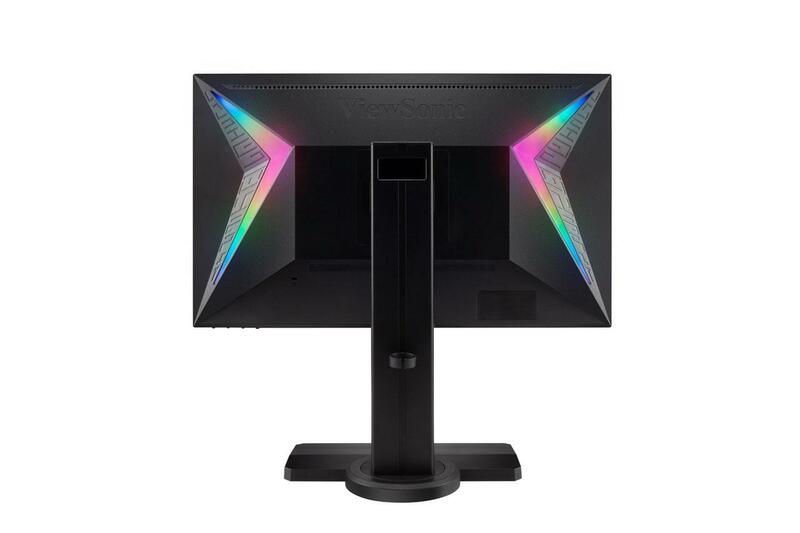 Partnering with companies such as Thermaltake, Razer, and Coolermaster, Viewsonic is offering up RGB lighting that's compatible with those companies for the XG240R and the XG350R-C models. 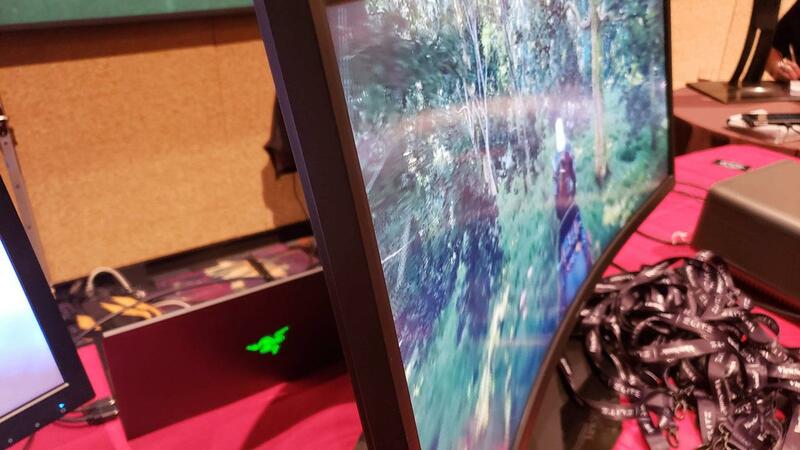 First up is the XG240R, which is a 24-inch 1080P gaming monitor that can run up to 144Hz and has Freesync compatibility. 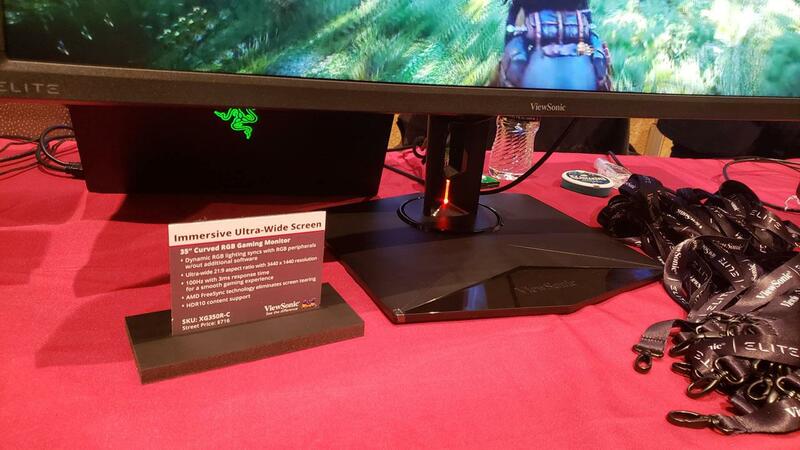 Connections include a DisplayPort and HDMI and will feature the usual USB ports and speakers seen in the past Viewsonic monitors we've looked at. 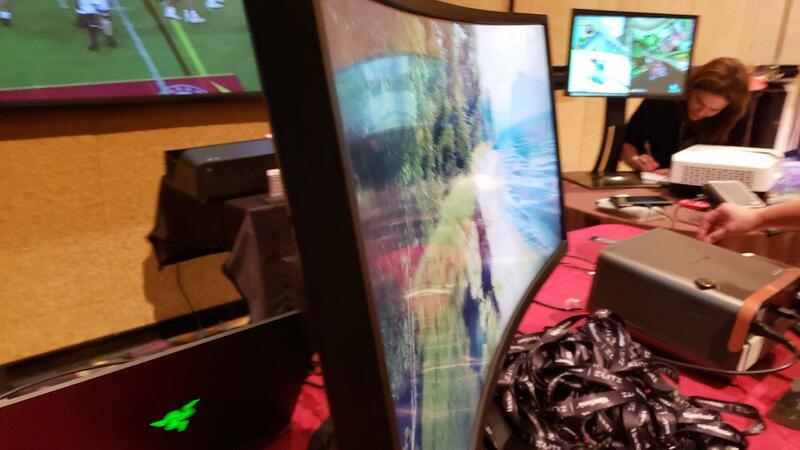 The star of the booth was the XG350R-C which is an ultrawide 35-inch model with a curve. 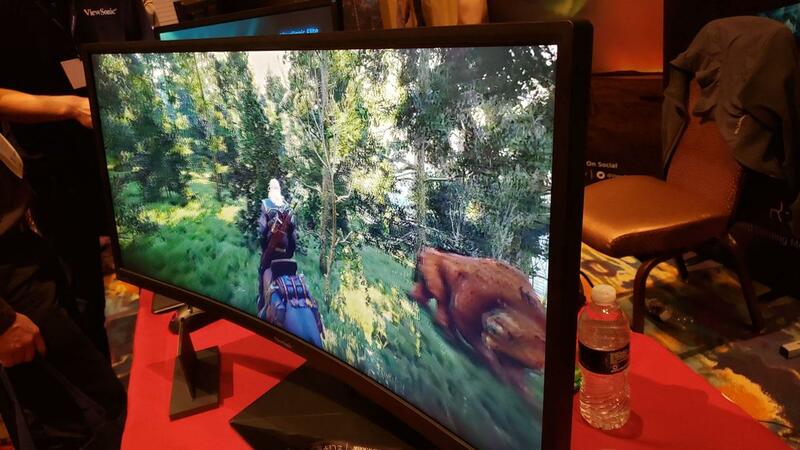 Resolution is at WQHD or 3440x1440 and just like the XG240R, the XG350R-C will also support Freesync. This one should also sound better than other monitors as it will have SonicExpert technology built in. 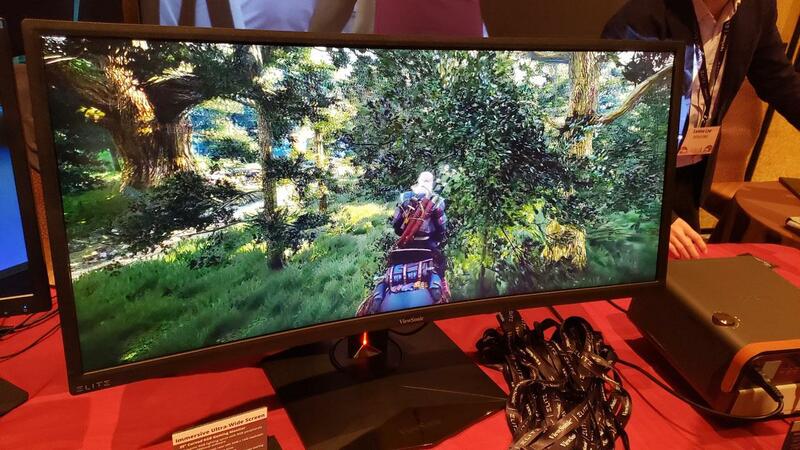 Up close the picture looked gorgeous with The Witcher III being demoed at the booth. 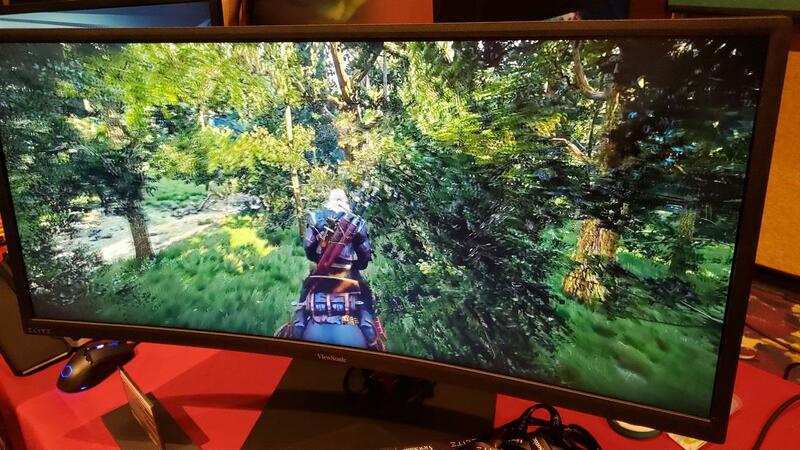 Just seeing the ultrawide view with Geralt was impressive and the curve helps envelope you into the view when sitting up close. I asked if there's going to be G-SYNC models coming and I was told they're paying attention to what NVIDIA's doing with the G-SYNC Compatible announcement they had yesterday, but we should expect to see some G-SYNC models later on down the road for some of these. I also asked about if the RGB feature will be compatible with Logitech's software, but currently that's not available. No word on the future as well. Both of these monitors are on sale now with the XG240R-C coming in at $266 while the XG350R-C will be available for $716. 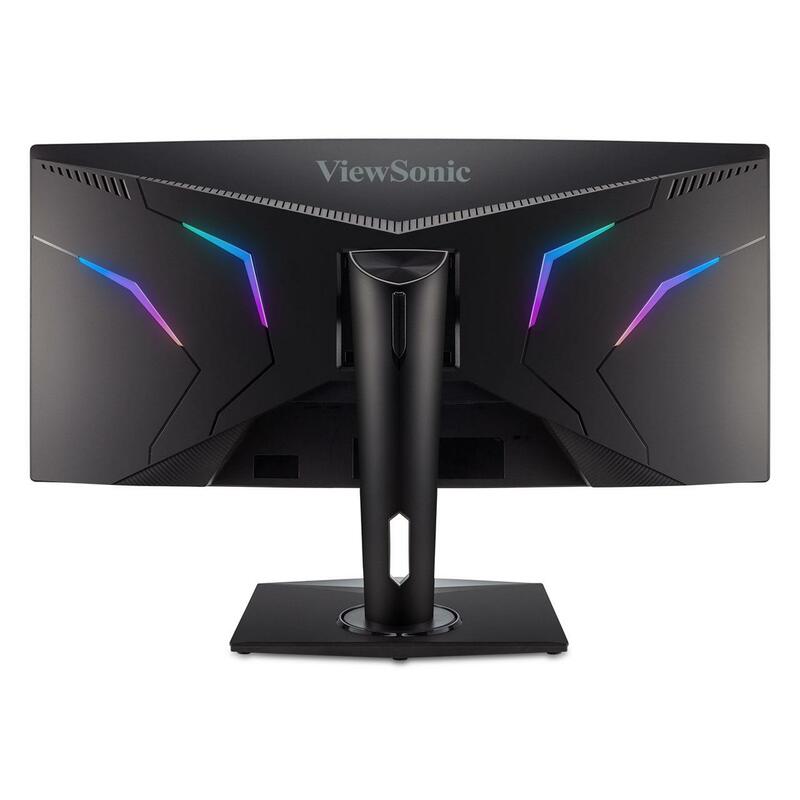 LAS VEGAS (Jan. 7, 2019) – ViewSonic Corp., a leading global provider of display solutions, unveils the launch of a new sub-brand of professional gaming monitors. 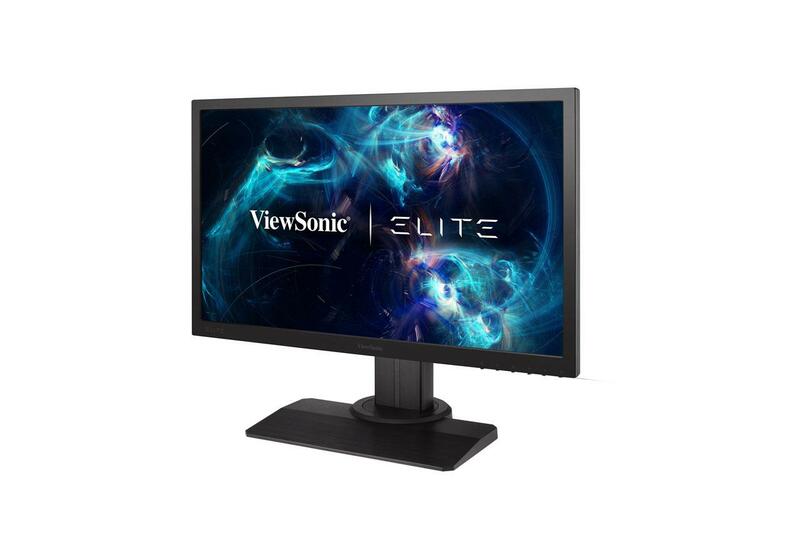 ViewSonic ELITE™ gaming products are specifically designed with a sleek and minimalistic aesthetic, while boasting practical gamer-centric designs. 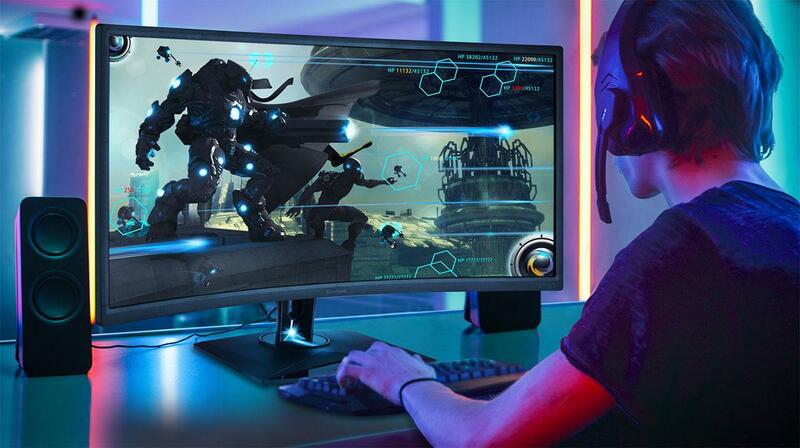 With decades of display technology experience and heritage, ViewSonic ELITE™ will deliver next-level gaming products that fit the needs of today’s multifaceted gaming community. 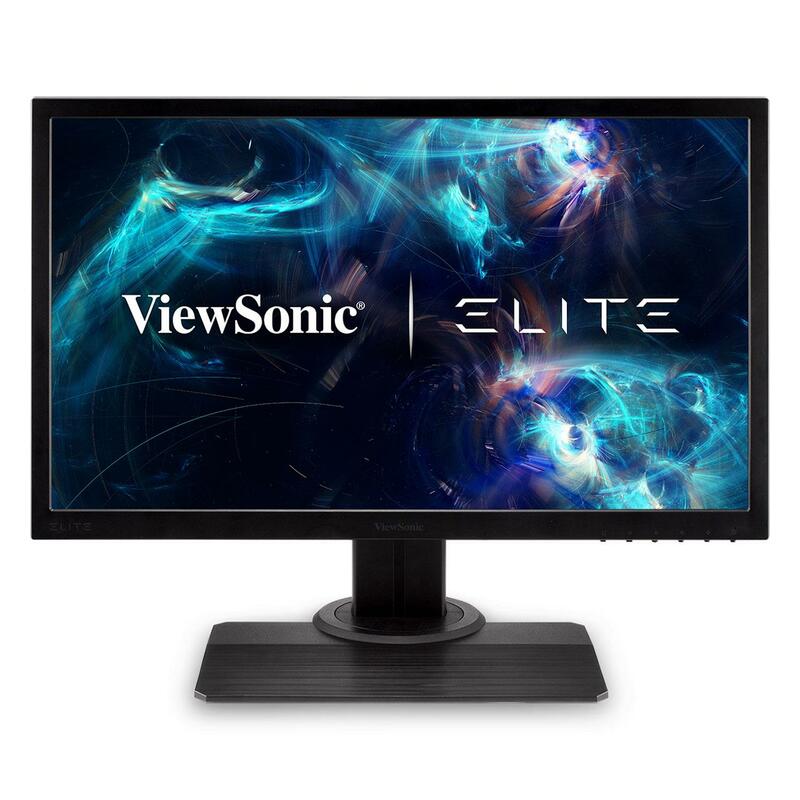 ViewSonic ELITE™ launches with a pair of new gaming monitors: XG240R and XG350R-C. 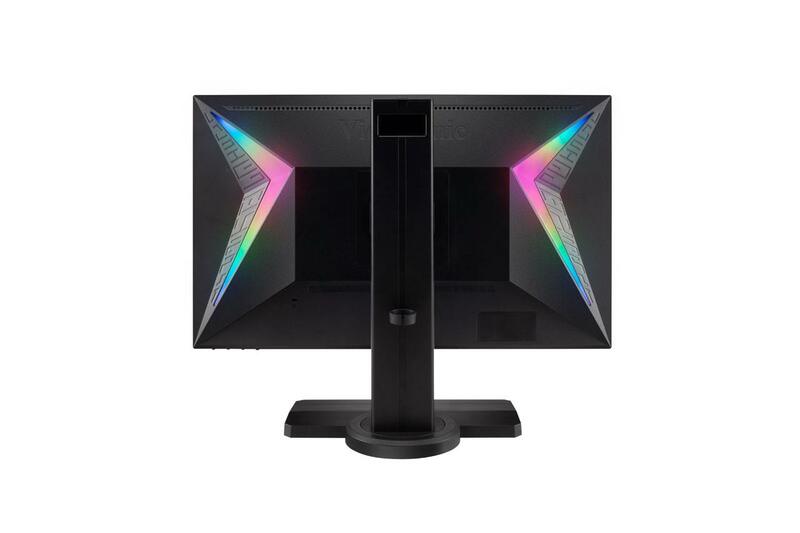 The XG240R and XG350R-C are the first monitors aligned with partnered software programs that enable customizable RGB lighting capabilities. 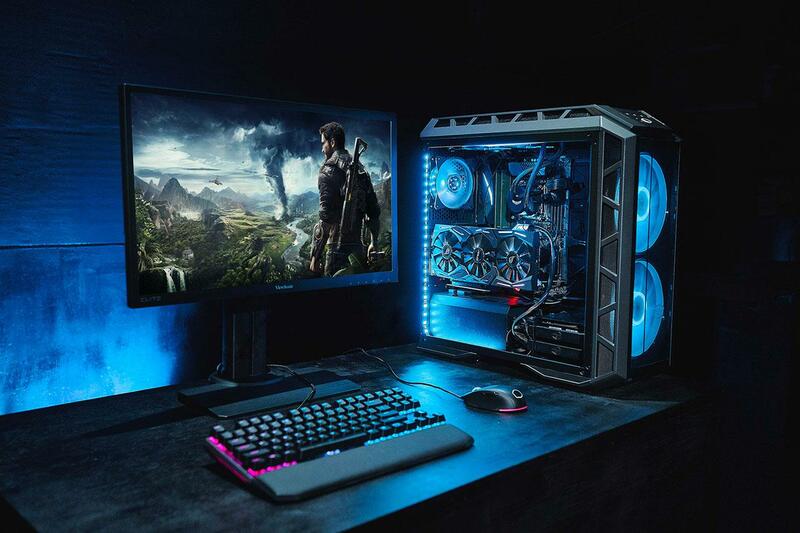 Through partnerships with the industry’s top PC peripheral manufacturers, ViewSonic ELITE™ products allow gamers to take full control over their RGB ecosystems when using these partners’ software. When running the software, the RGB lighting harmoniously syncs with other RGB-equipped gaming peripherals and hardware. 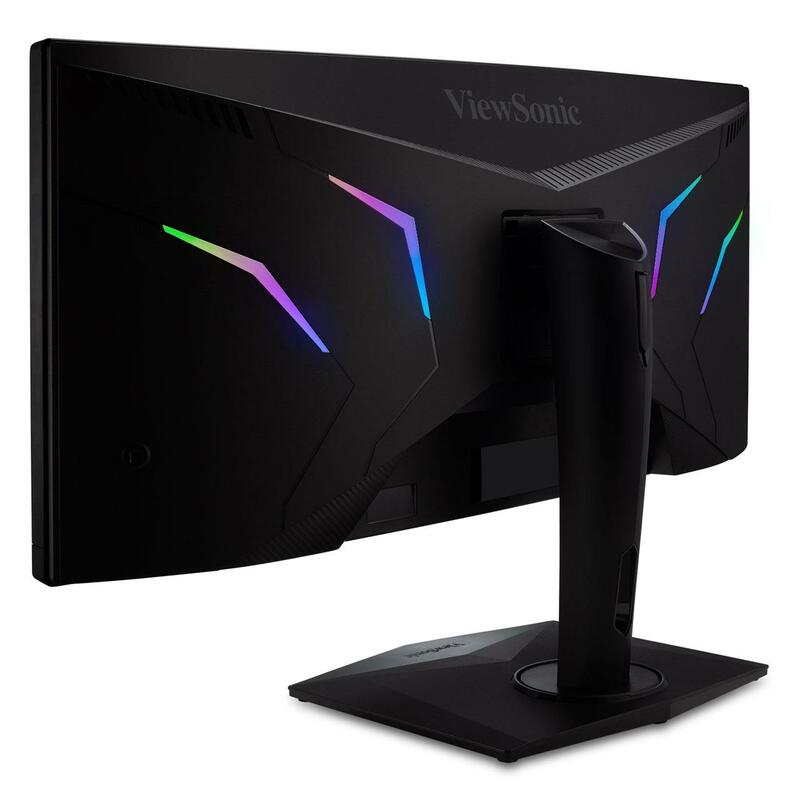 The ViewSonic XG240R is the first 24-inch monitor under the ViewSonic ELITE™ sub-brand featuring customizable RGB integration. The XG240R is a highly responsive competitive gaming monitor that delivers esport tournament-level performance. With 1080p Full HD resolution, it boasts a 144Hz refresh rate, super-fast 1ms response time and AMD FreeSync™ anti-tearing technology, ensuring a captivating gaming experience. The XG350R-C 35-inch monitor is the primary ultra-wide curved gaming monitor under the ViewSonic ELITE™ line. With a1800R curve, the XG350R-C features WQHD (3440x1440) resolution and comes equipped with customizable RGB lighting, as well as AMD FreeSync™ technology to eliminate tearing. The XG350R-C also comes with proprietary SonicExpert® sound enhancement technology, offering a completely immersive gaming experience from audio to visuals. With the 35-inch ultra-wide curved screen, the XG350R-C provides a broader field of view, ensuring gamers will never miss a thing on the screen. 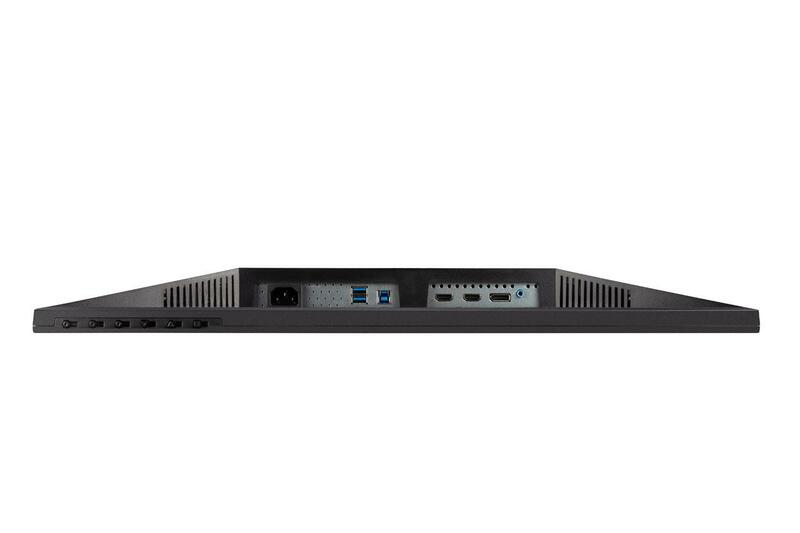 Both the XG240R and XG350R-C include HDMI and DisplayPort connections, multiple USB 3.0 inputs, and built-in speakers. The monitors were designed with ergonomic functions with stands that swivel/tilt, rotate and adjust in height, making sure gamers can spend long hours gaming comfortably. ViewSonic ELITE™ will be featured with several gaming partners at global gaming conventions; and the company will participate in community-based charity events to promote an inclusive gaming message. 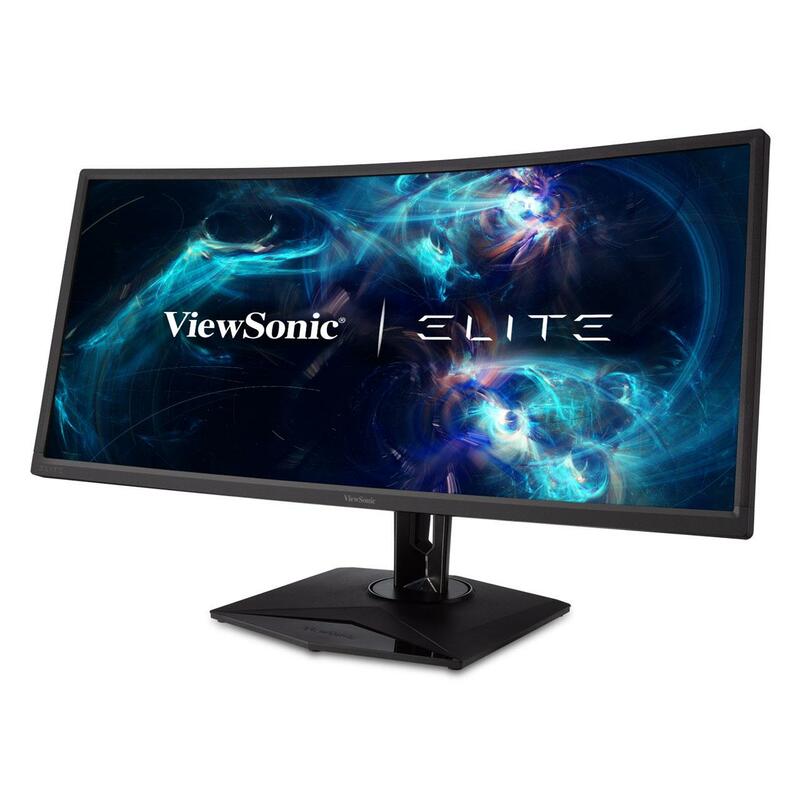 ViewSonic ELITE™ has collaborated with multiple PC component manufacturers to provide compatibility between ViewSonic ELITE™ RGB monitors and select RGB software from partners. ViewSonic ELITE™ affirms its commitment to the gaming community by empowering gamers with comprehensive ecosystems that give gamers control.